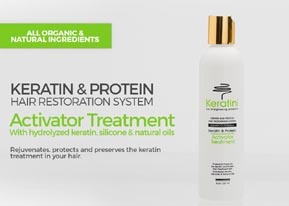 WELCOME TO KERATIN USA REVOLUTIONARY HAIR CARE SYSTEM! 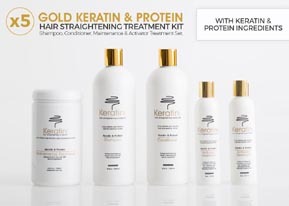 Give your curly, frizzy or out-of-control hair the smooth, soft, silky feel and look you`ve always wanted! 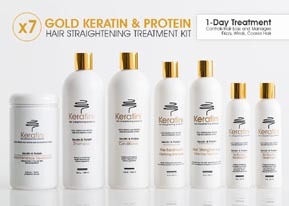 Today, Keratin USA Hair-Straightening Treatment is the hottest, healthiest hair care and straightening product with amino acids, hydrolyzed silk, keratin complex, cocoa extract, rosemary extract, chamomile, wheat germ oil, chocolate fragrance, vitamin B5, Jojoba oil, and sesame seed oil. 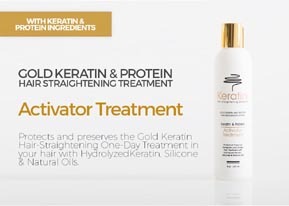 This breakthrough hair straightening and conditioning treatment works wonders, producing excellent results on all types of hair. 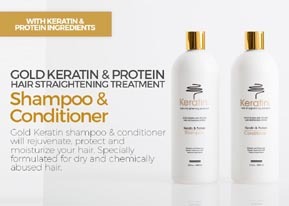 Keratin USA Hair-Straightening Treatment straightens your hair while replenishing the condition of the hair without damaging or changing the molecular structure. Results are visible immediately after the treatment is completed. 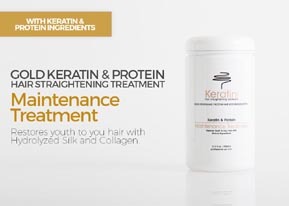 Keratin USA Hair-Straightening Treatment is applied effortlessly and the amount of time required to style hair decreases dramatically! 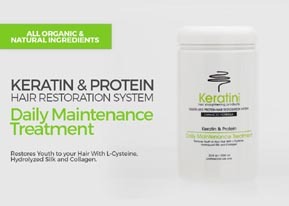 Keratin USA Hair-Straightening Treatment restores the hair`s resiliency so humidity, rain, and perspiration will no longer affect your hairstyle. No more frizzy hair! Repeat the treatment as often as you desire, and you will observe a continuous improvement in your hair. 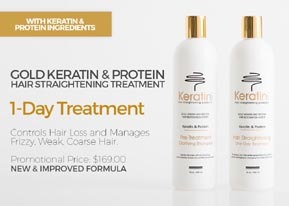 We offer Keratin USA Hair-Straightening Treatment with results that last four to five months and fade away gradually as hair is shampooed. This is not a permanent straightening but a smoothing treatment that can be used on all hair types such as chemically treated, colored, permed, relaxed, straightened, highlighted, and bleached. 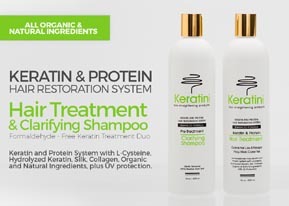 The Keratin USA Hair-Straightening Treatment comes directly from the manufacturer, and we guaranteed if used by a certified licensed professional hair stylists only. 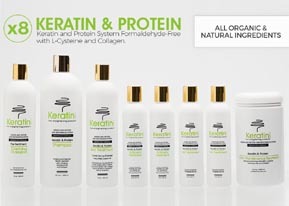 This amazing product heals, repairs, moisturizes, nurtures with keratin and protects damaged hair. Moreover, it eliminates frizz and curls, emits no unpleasant odors and can be used on all hair types.